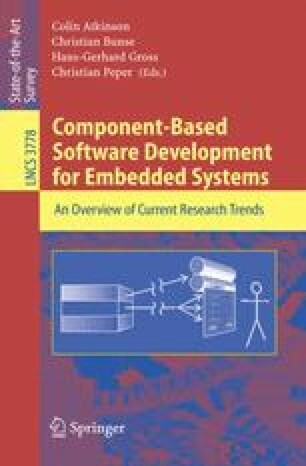 In this chapter we motivate the need for an infrastructure platform for embedded software, supporting the development of reusable systems. Our solution is based on a component infrastructure that is implemented using model-driven software development (MDSD) techniques. This approach allows us to achieve the goal of re-usability while still providing an efficient system, tailored for the specific embedded hardware and operating system. This chapter explains the principles of our approach and introduces model-driven software development. It illustrates the concepts by presenting an example of how to model and specify the embedded application (a simple weather station), and how to generate supporting component middleware infrastructure from these models.